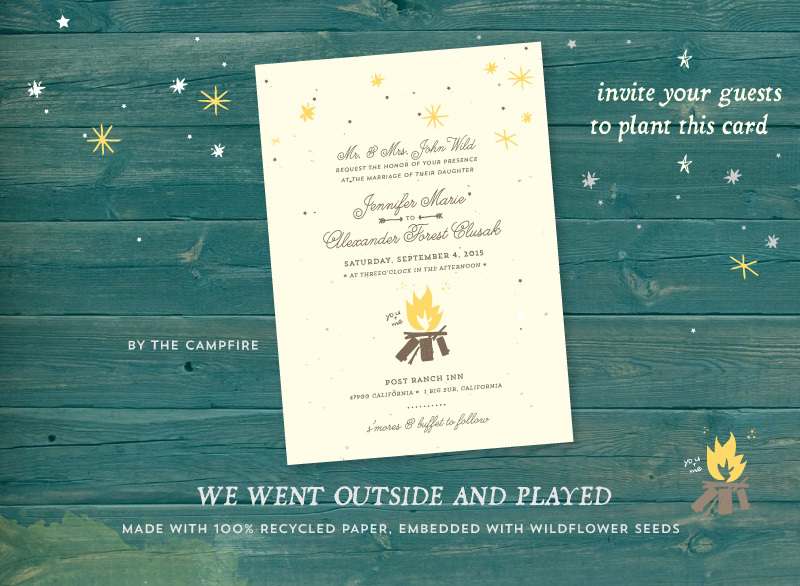 Rustic Wedding Invitations are perfect for an outdoor ceremony. How about in the forest, surrounded by shade of tall trees and colorful leaves? 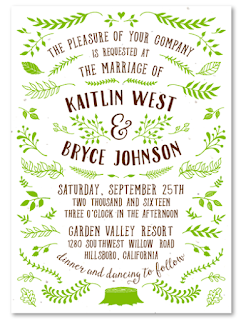 Maybe a countryside wedding, on a grassy hill or a prairie surrounded by vibrant wildflowers. 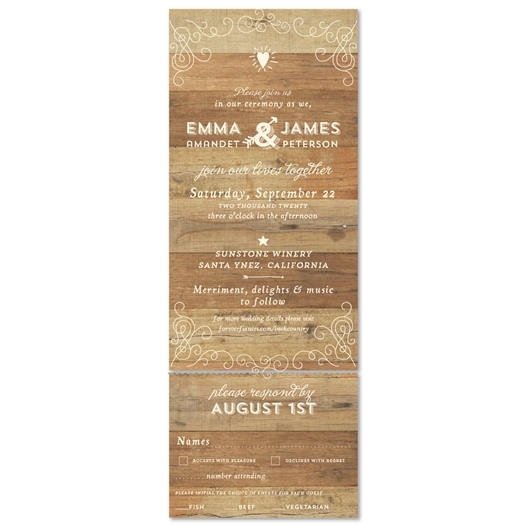 Another popular location for rustic weddings is in a barn, with vintage wood paneling and rural surroundings, in a small town where everyone knows your name, kind of like Cheers ;) We have put together our 10 favorite rustic wedding invitations so you can find the perfect invitation for your pastoral wedding celebration! By the Campfire is illustrated with an artistic drawing of a campfire. It is a relaxing scene where you can gather your friends and family to share in the love you have found with your soon to be bride or groom. 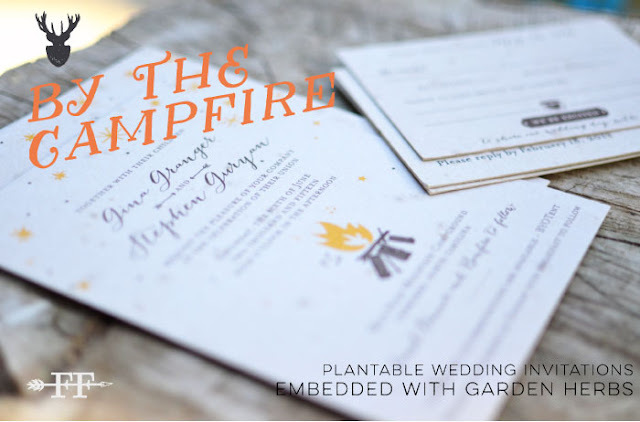 Have a truly unique wedding reception under the stars with the fire burning bright, like the fire that will burn deep in your hearts for the rest of your lives. If you are getting married in the Fall, we have a great new design with you in mind! 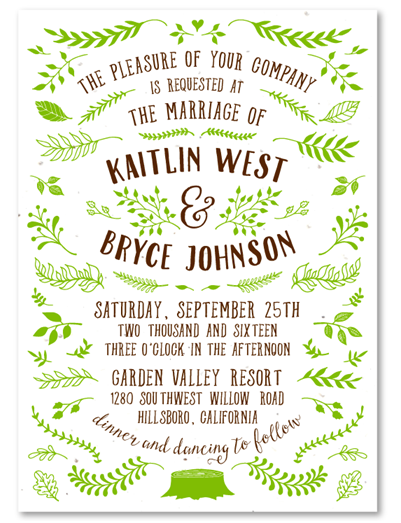 Fun Foliage is a rustic invitation perfect for a fall ceremony. It is a collage of fall themed drawings with leaves, branches and a tree trunk to tie everything together. 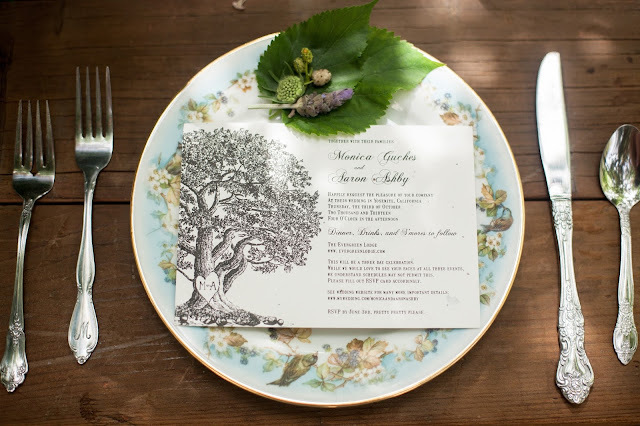 Tree wedding invitations are our specialty! You'll see a few in this list but let's start with our absolute favorite! Vieux Oak is a classic invite, with the iconic expression of love - carving your initials into a tree trunk, framed with a heart. Melt the hearts of your guests by sending this lovely invitation. 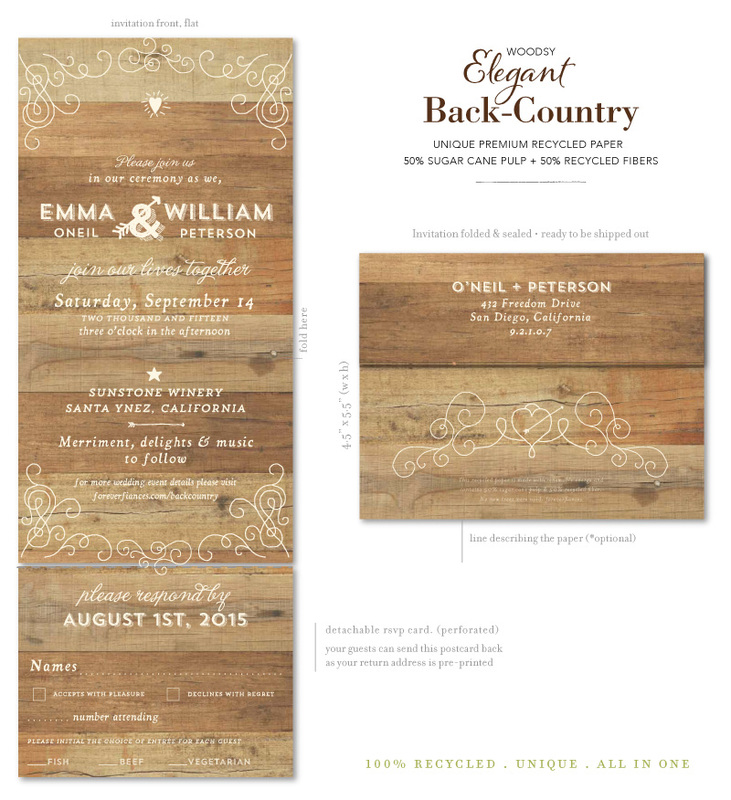 Woodsy Invitations have become increasingly popular and Elegant Back Country is our top seller in this category. 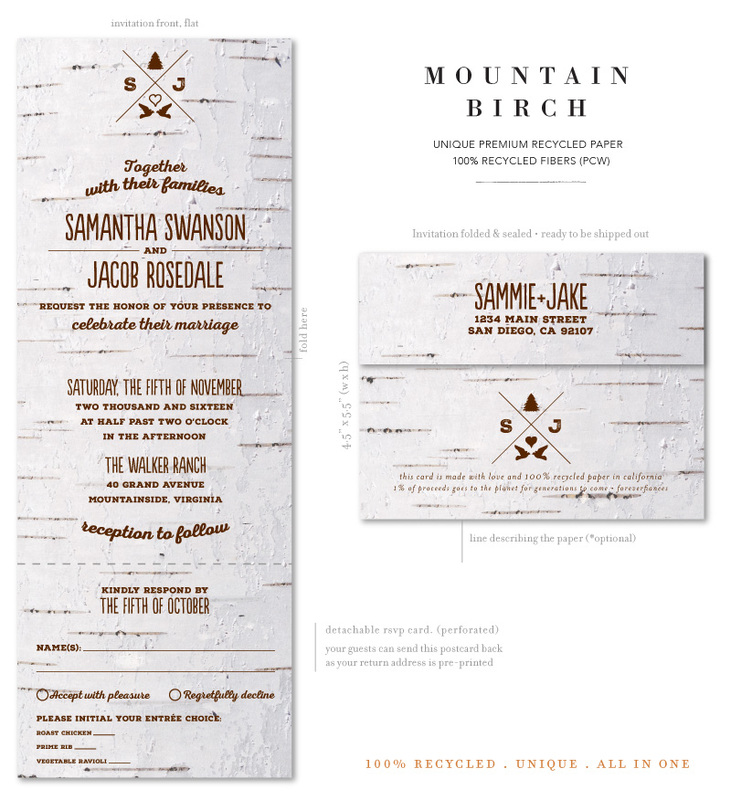 Printed on 100% recycled paper, with a woodsy paper, to create a wood panel background, your invitations will be truly unique! We used an antique wood board with rustic weddings in mind. Inspired by real wood! 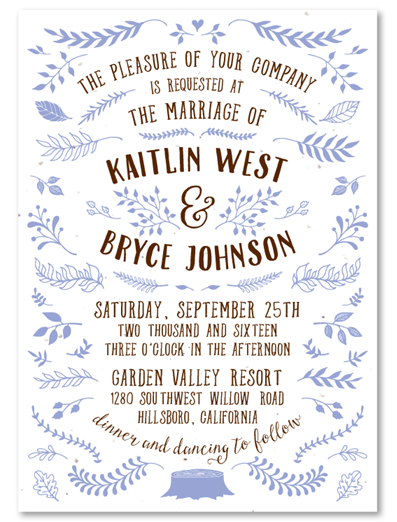 Vintage wedding invitations are a timeless theme that work great for a rustic wedding! The vintage look is making a come back, what's old is new again! Once in a blue moon, your dreams come try and you find your soulmate. 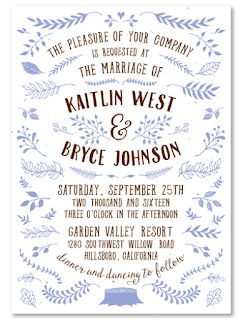 Invite everyone you love to join your celebration with these vintage style wedding invitations. There's nothing more authentic than a wedding at the family barn. This elegant, vintage, hand-drawn countryside scene will set the stage for your ceremony. Barns are becoming a trendy venue to host rustic weddings and this suite will compliment your wedding day like lemonade on a hot summer day. This invitation brings back fond memories of being kids, sitting on a bench, telling stories and carving a heart in the nearby tree with your initials of you and your love bird. Sometimes your childhood love becomes your lifelong love. Even if your love is fresh and blossoming, take a stroll through the park and create new memories to share for the rest of your lives. 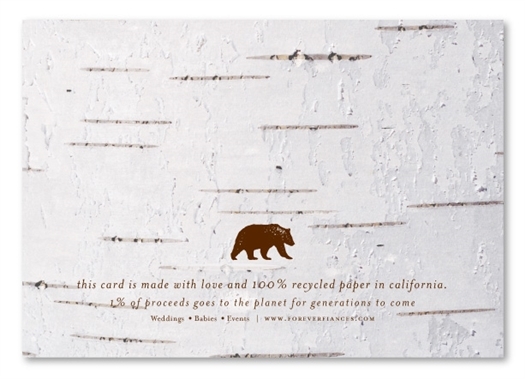 Another rustic invitation printed on premium 100% recycled paper, with a beautiful wood panel background. Northern Cabin is decorated with antlers and an arrow, encompassed by a charming frame. Having your wedding at a cabin, or maybe you plan on snuggling up in a cozy cabin with your loved one to celebrate your honeymoon? Either way save this invitation as a keepsake and you will always remember these important moments and look back with a smile on your face. Mountain Birch, boasting a fantastic format, our unique Seal n' Send invitations, help you get everything done without even using an envelope! It even folds up into a postcard, ready to mail out with our adhesive mail tabs (3 per invite). 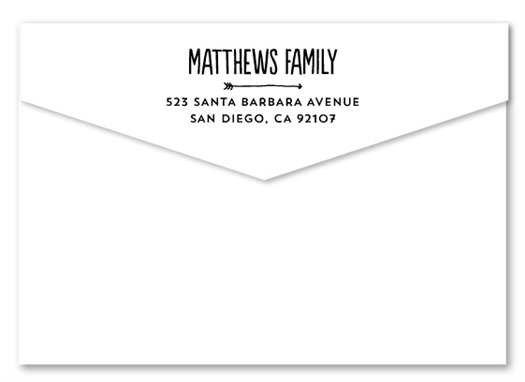 Add one sticker in the middle of the top flap, then two around the sides, making a half circle on the front and back of the now ready-to-mail postcard! 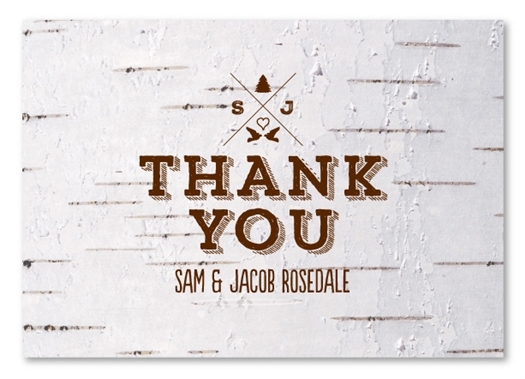 A birch tree trunk with it's pretty white bark provides the perfect background for a rustic wedding. 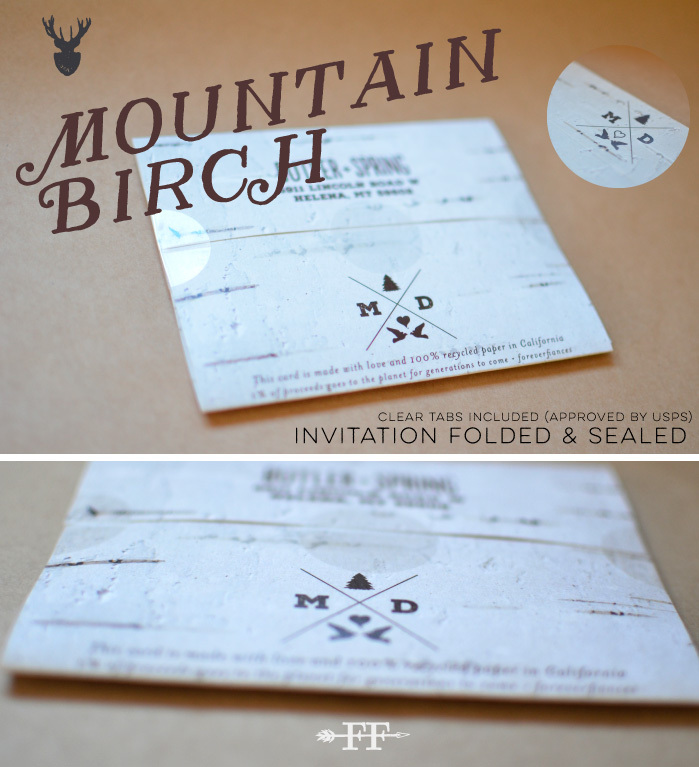 More vintage looking invitations for a rustic wedding celebration! Perfect for any Californian or lovers who are California dreaming. Why not have a destination wedding in the Redwoods of California or somewhere along it's golden coast? The bear is an iconic symbol of California. Enjoy all the great outdoors in the state with every landscape imaginable: mountains, rivers, plains, deserts, beaches and the Pacific Ocean. 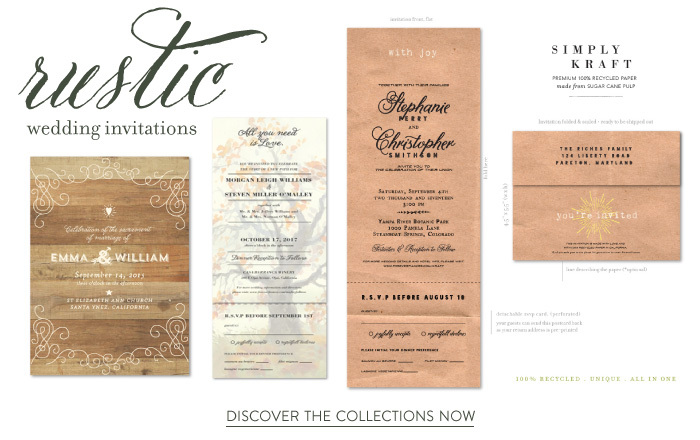 Discover all of our Rustic Wedding Invitations today!